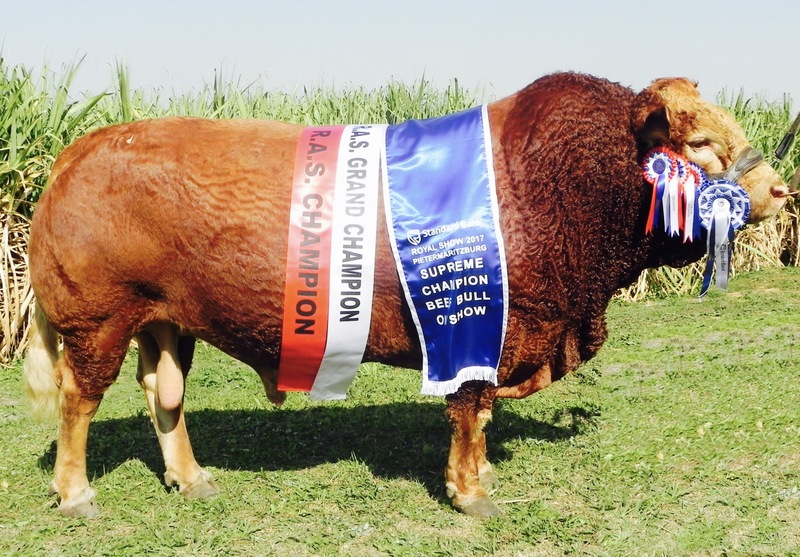 Mid Illovo beef farmer, Angie Malherbe, is the first female breeder to hold the title of the Royal Agricultural Show’s Supreme Beef Bull On Show for her stud bull La Rhone Millionaire, a seven year old Limousin bull. Malherbe won the much coveted title at last year’s Royal Agricultural Show beating competitors from top South African studs. La Rhone Millionaire was then invited to participate in the ALFA 2017 National Interbreed Championship in Parys in the Free State. “We didn’t win there but Millionaire got some really great exposure and I am very proud of his achievements,” said Malherbe. CEO of Kwanalu, Sandy La Marque, congratulated Malherbe on her achievement. “It is fantastic to see women competiting and winning in this field; and we hope that this success story will encourage more women to actively participate and expose their involvement in agriculture,” said La Marque.